In 1971, made her debut from Teichiku with “Ai Wa Shindemo (愛は死んでも)”. Participated in an audition program YTV “Zen Nihon Kayou Senshuken”, keeping 1st in the competition for 10 weeks in a row, leading her to shine as grand champion. In 1973 “Namida Goi (なみだ恋)” sold over 1.2 million copies and became a smash hit. Ever since, she had constantly been releasing hits such as “Shinobi Goi (しのび恋)”, “Ai Hitosuji (愛ひとすじ)”, “Onnano Yume (おんなの夢)”, “Onna Minatomachi (おんな港町)”, and “Ai No Shuuchakueki (愛の終着駅)”. In addition, in 1979 she came with the ground breaking hit song which was to be her first “manly” song “Funauta (舟歌)”, and in the 1980’s, “Ame No Bojyo (雨の暮情)” won the Best Record Awards. Along with “Minatomachi Zessho (港町絶唱)”, these songs were called “Airen Sanbusaku (哀憐三部作)”, written by Aku Yu (阿久悠), Hama Keisuke (浜圭介), and Ryuuzaki Kouji (竜崎孝路). For an enka singer, the rare consecutive national hit songs, she built an impregnable position as a female enka singer. 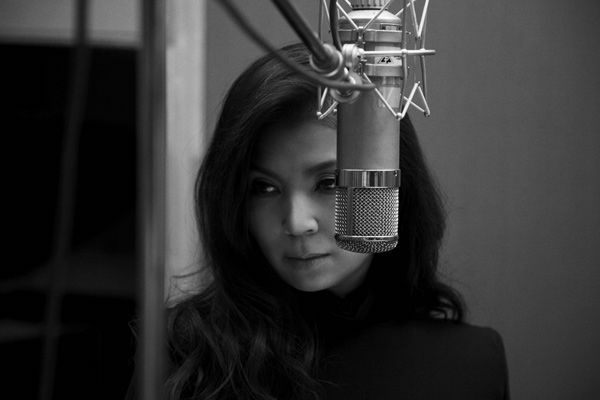 In 1982, she moved to Century Records and released “Umineko (海猫)” and “Nihonkai (日本海)”. In 1986, she transferred to Columbia Japan where she is presently signed to.